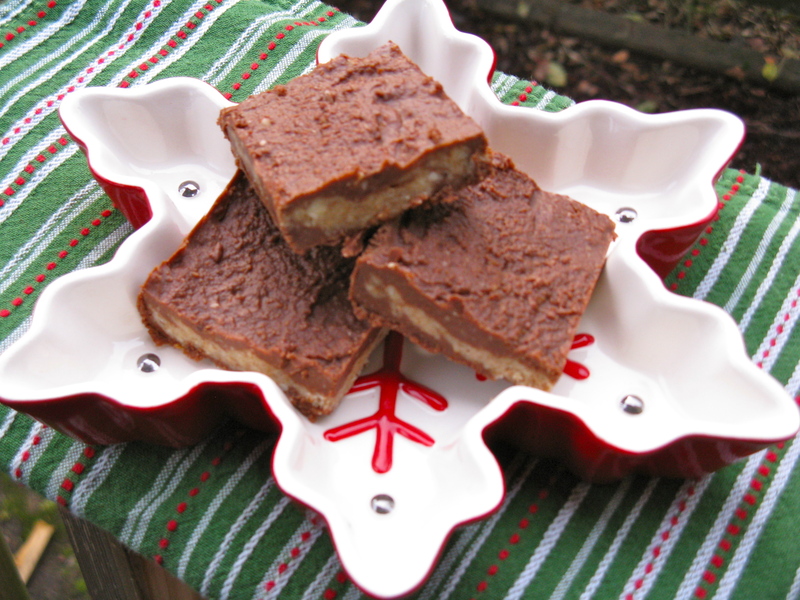 If you still need a holiday dessert recipe, run to the kitchen and make this cookie dough fudge! It’s ridiculous and basically like eating chocolate covered raw cookie dough. It is so indulgent and delish! 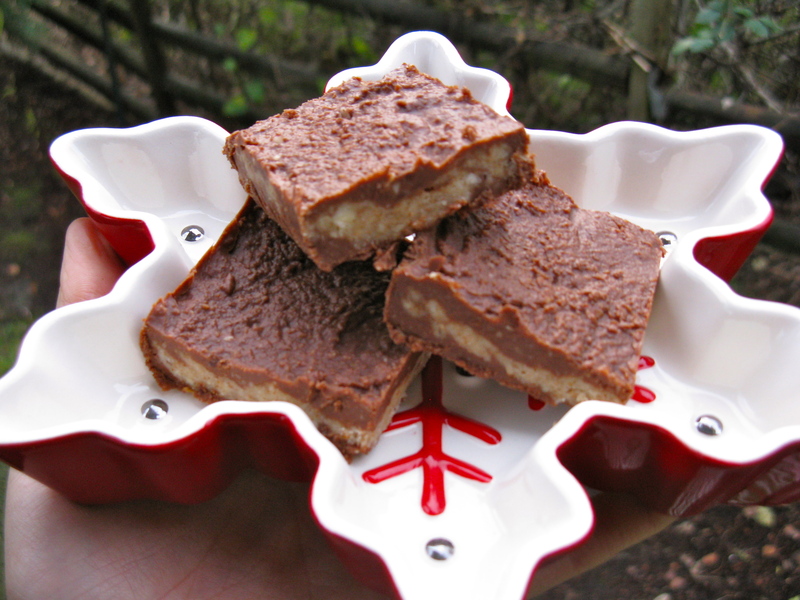 Just try not to eat the whole batch in one sitting! Cheers and happy holidays! Enjoy! 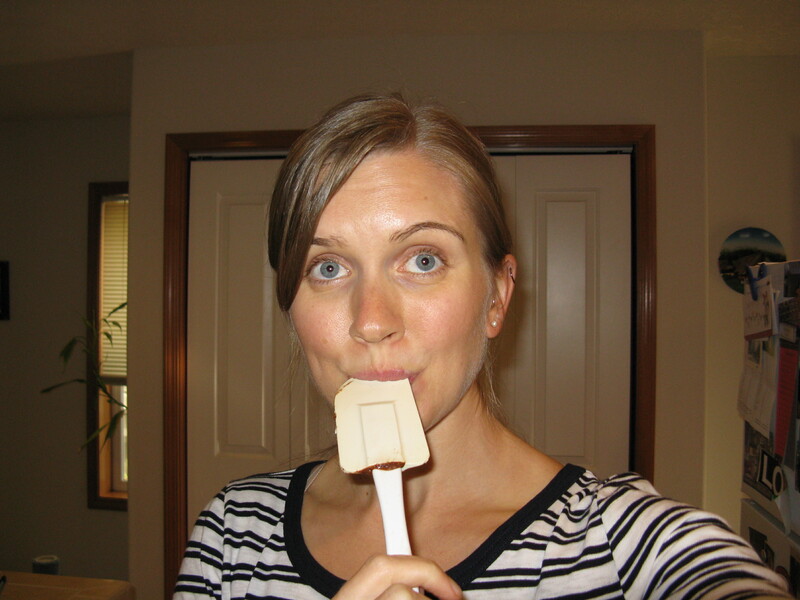 I love licking the spatula and bowl clean! It’s one of the best parts. Mix the ingredients for the cookie dough together, then set aside. 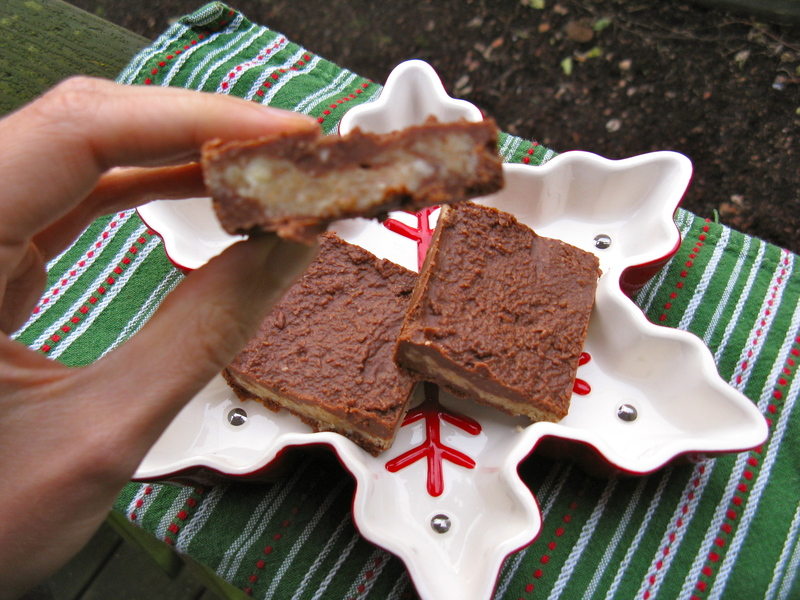 In an 8×8 pan lined with parchment paper, carefully spread half of the fudge mixture into the bottom. Press all of the cookie dough on top (it doesn’t have to be pretty). 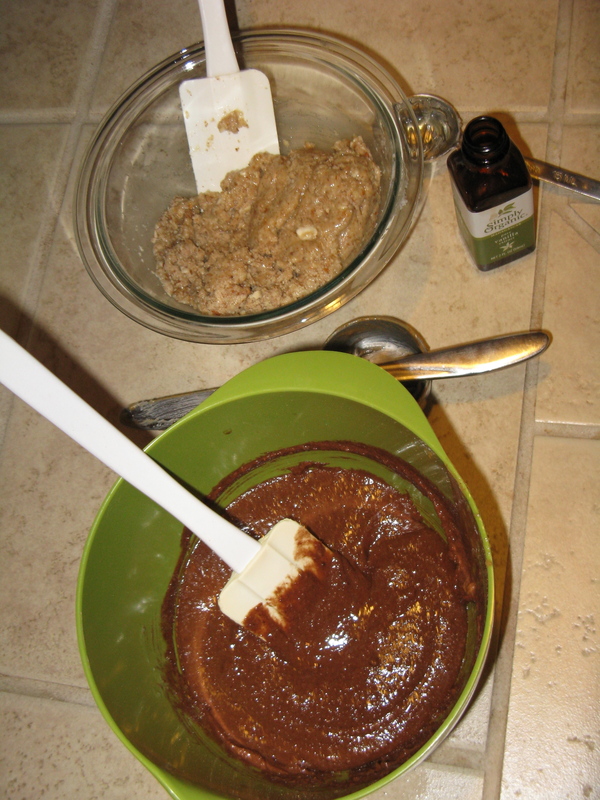 Then spread on the last half of the fudge. Refrigerate for a couple hours or until firm. Cut into square size of choice. Merry Xmas! Omg that dessert looks to die for… I think I would pass out eating just one of those squares! It is … and we’ve already eaten half the pan. Mind you, I just made them yesterday! Oh, I see. It all makes sense now! Keep up the good work. Yum, what a treat. thanks for posting cause i love a recipe where I don’t have to cook. I know, it’s a nice bonus!